Sonnet – xMac Pro Server Thunderbolt 2 PCIe Enclosure. 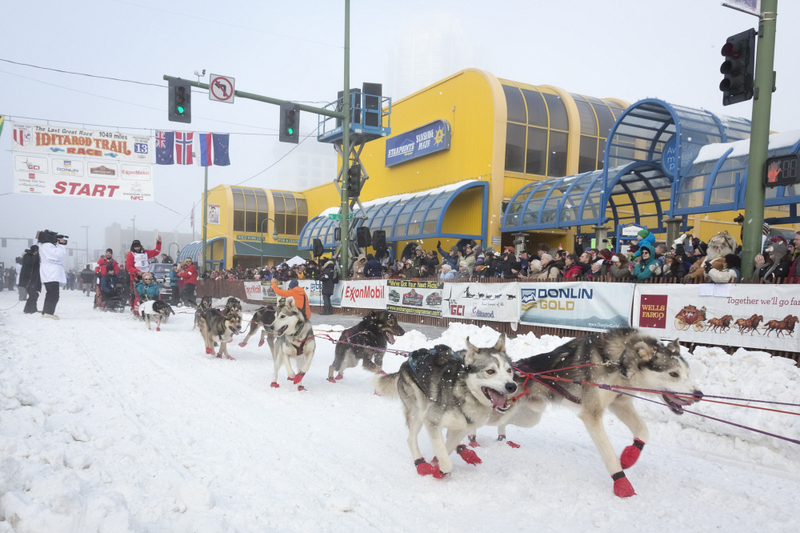 The Iditarod Trail Sled Dog Race starts in Anchorage Alaska the first Saturday in March. Alaska’s Iditarod Trail, home to the Iditarod Trail Sled Dog Race. A 1000 mile endurance race that pairs man and dog together against mother nature. The Iditarod Trail Committee produces a 90 minute race documentary each year, which helps support this not-for-profit organization. In addition to the documentary, the video team provides race fans with news style clips each day from the trail as part of a subscription service called the Insider. This emmy-award wining production consists of 5 camera crews spread across the 1000 mile trail, which travel by snow machine or bush plane. The workflow is centered around Panasonic P2 gear. Art Aldrich frames a shot with a pre-production Panasonic camera. 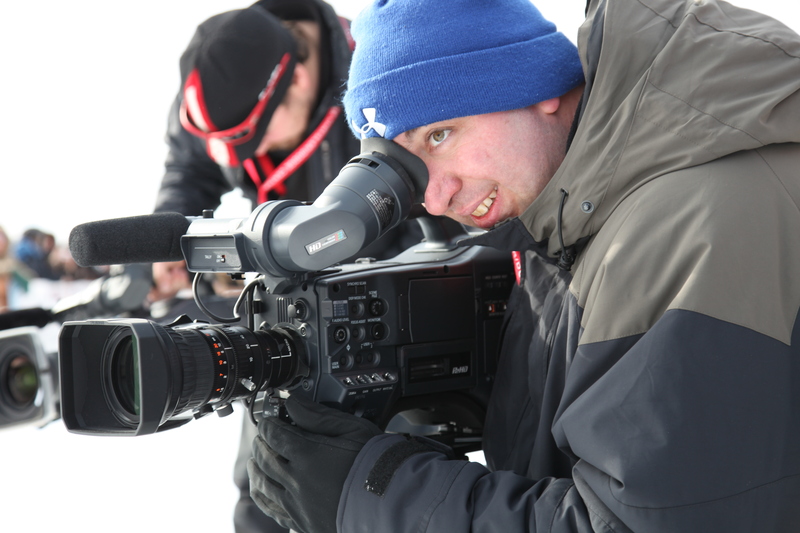 I have just completed my 8th tour on the Iditarod, where I serve as the production manager. This is a loose title, as all the crew members wear many hats. There are two editors on the trail, which serve as ingest and supply stations for the crews. 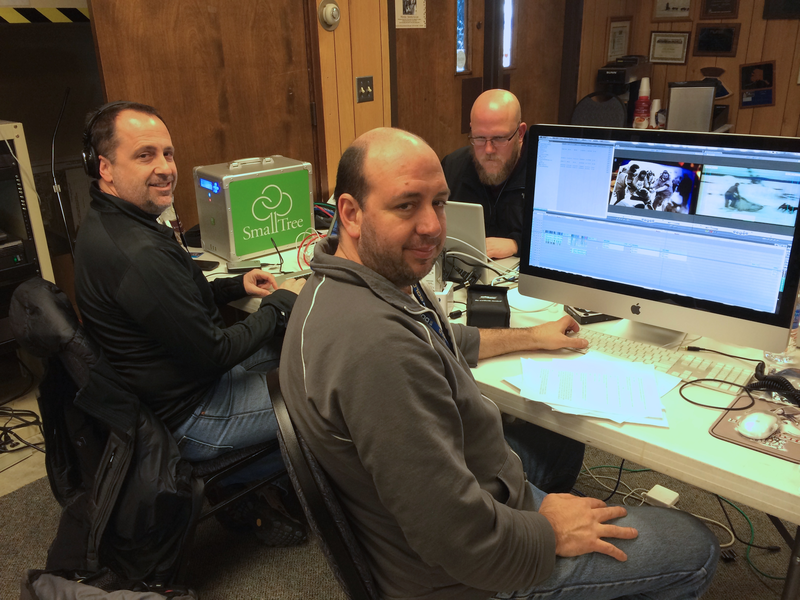 By the time all the crews reach the finish in Nome Alaska, which takes about 10 days, all the footage has been ingested into Final Cut Pro. The normal schedule has the DVD finished in May, and on the shelves in June. This year, in partnership with NBC’s, Sportsman Channel, the race documentary needed to be produced as two one hour specials by the end of March. This posed a challenge for several reasons, not limited to the working space available in Nome, budget limitations, and of course the ticking clock. Typically, the race producer, Greg Heister, handles the editing duties himself, but in order to facilitate the deadline, a couple of people were added to help the editing process. 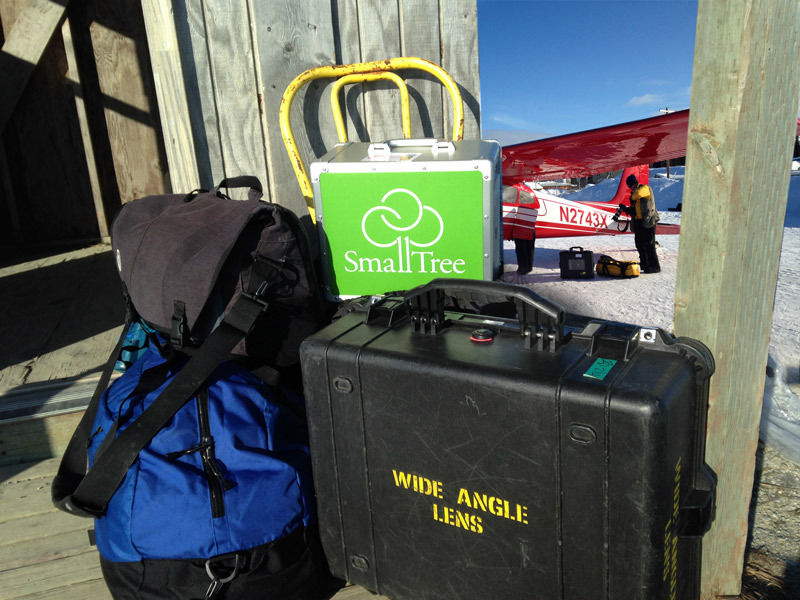 The Small Tree TZ5 waits for transport up the Iditarod Trail. The main wrinkle was how to share the footage amongst 3 or four people. The field teams use 3.5” drive systems with Raid 1 mirrors, typically using Firewire 800 connections. The plan was to have Tom, our assistant editor, receive a bare drive at different intervals during the race so that he could log and organize clips. I have installed Small Tree systems for clients before, and most recently the new TitaniumZ storage appliance with great success. These are big, rack mounted systems, not suited for portability, let alone a trip down the Iditarod Trail. Then I saw the Small Tree Titanium Z5 or TZ5 for short. Essentially a san-in-a-box, the TZ5 allows for up to 6 workstations to connect and use the storage simultaneously over ethernet (1GB or 10GB). There were many other options, but this offered three key features: Portability, Self Contained System, and the Small Tree Support. On the trail, Tom used a Thunderbolt drive dock to connect the bare drives to his MacBookPro. He then copied the P2 converted files to the TZ5. Now here is where it gets cool. In Nome, City Hall serves as our work room. Think of it as a depository for frozen camera gear, live control room, and editing space for the staff. Racers continue to finish the race for about 5 days after the winner crosses under the Burled Arch. While Mushers continue to finish, the camera teams are still shooting each and every one. One edit system was setup to handle basic editing and uploading to the iditarod.com website. This system was connected to the TZ5. In the work room, a small corner is carved out for shooting post race interviews. This footage was archived using another MacBookPro edit system using Shotput Pro directly to the TZ5. Station 3, another MacBookPro, severed as the main logging station. Tom, the assistant editor, would work from Quicktime 7 to generate logs and transcripts. Station 4 was Greg Heister’s 27” iMac. 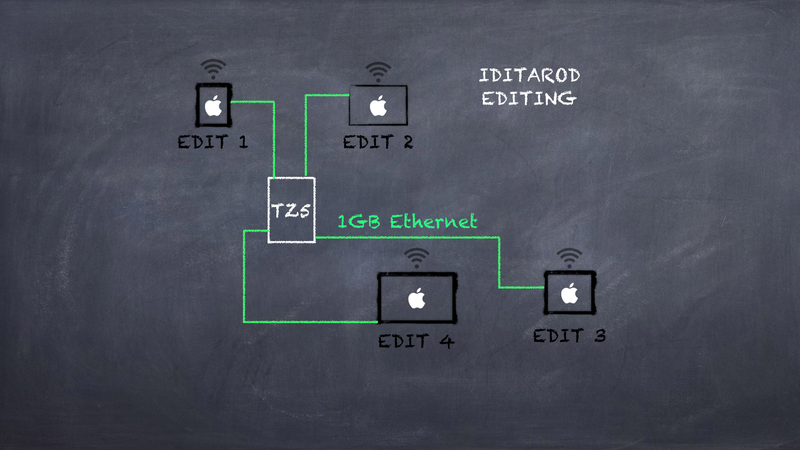 Greg was connected to the TZ5 and would edit FCP7 timelines directly from the TZ5. This type of collaborative workflow was critical to getting the show to air. The TZ ran without incident for the 2 weeks of production, and provided a safe (raid5) and simple method to share the workload. I have tried this myself, between two MacBookPros 2013, and the process was super easy and more importantly, FAST. OS X 10.9 brings fast but choppy Thunderbolt networking | Ars Technica.